1. Fill glass half way with ice. 2. 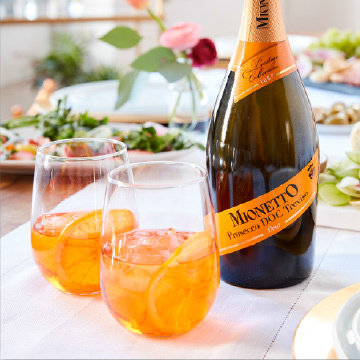 Pour the Prosecco, Aperol and add a splash of soda. 3. Top with a slice of orange.